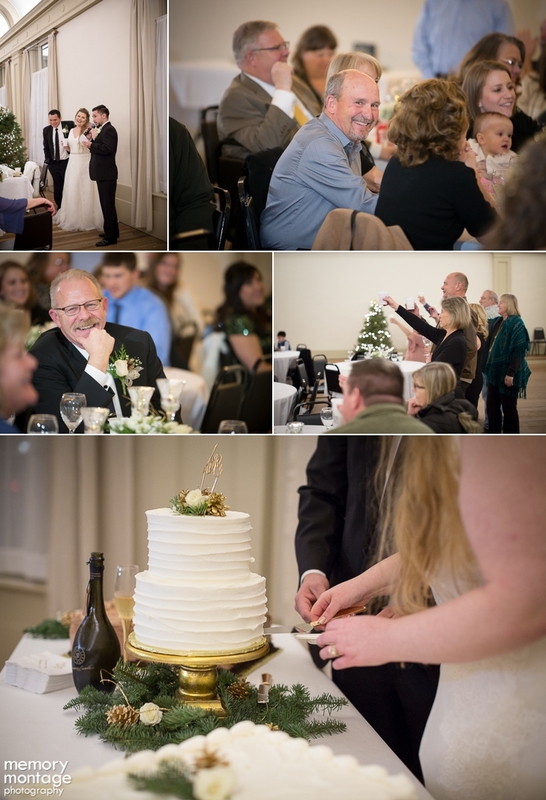 Tavis and I photographed this winter wedding on December 9th in Ellensburg. I love Ellensburg because everything is so close in proximity. 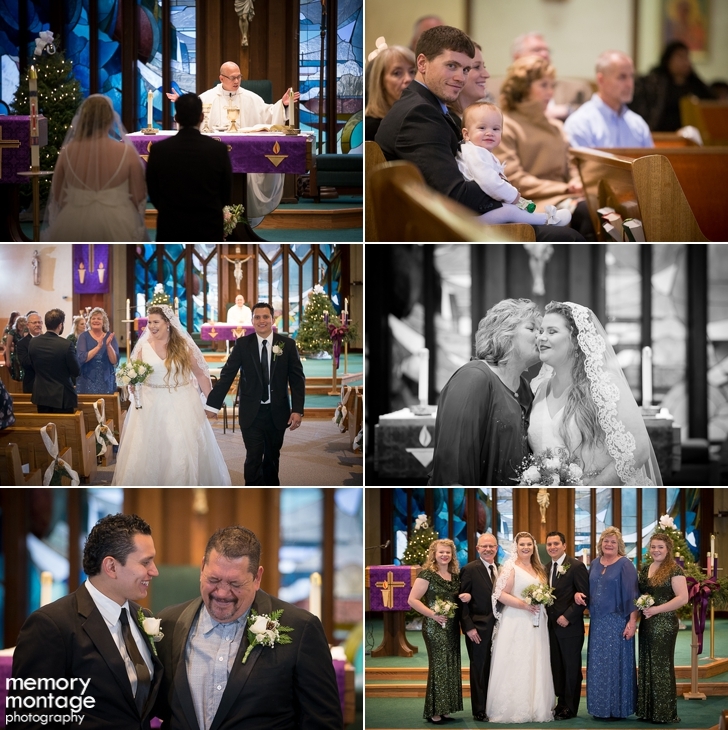 The salon, Church, photo locations and reception were all just a hop skip and jump away! 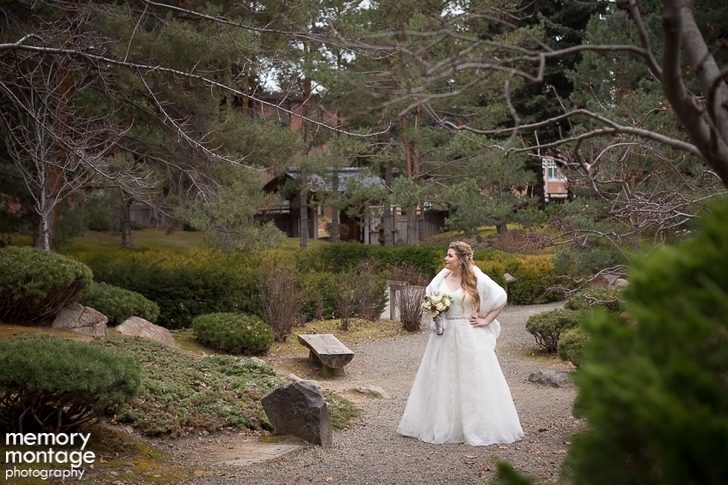 We did photos outside the church, at the Japanese Garden on the CWU campus and also in downtown Ellensburg with some of the cool architecture. 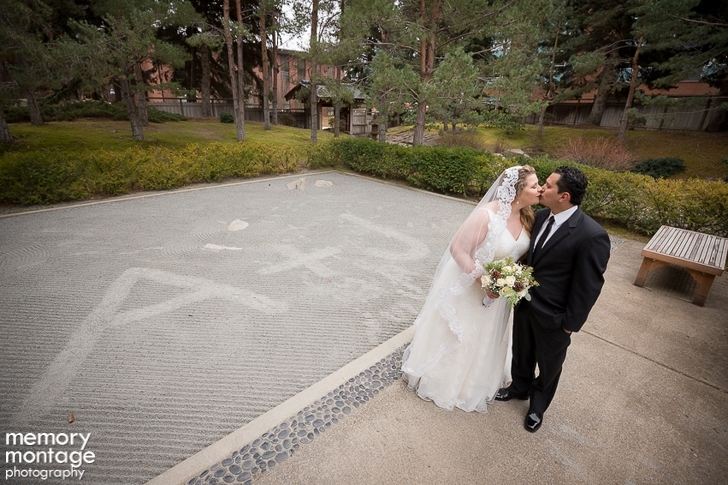 The happy couple, Jacqueline and Alex, were such great people to spend the day alongside. These two were clearly meant to be together! 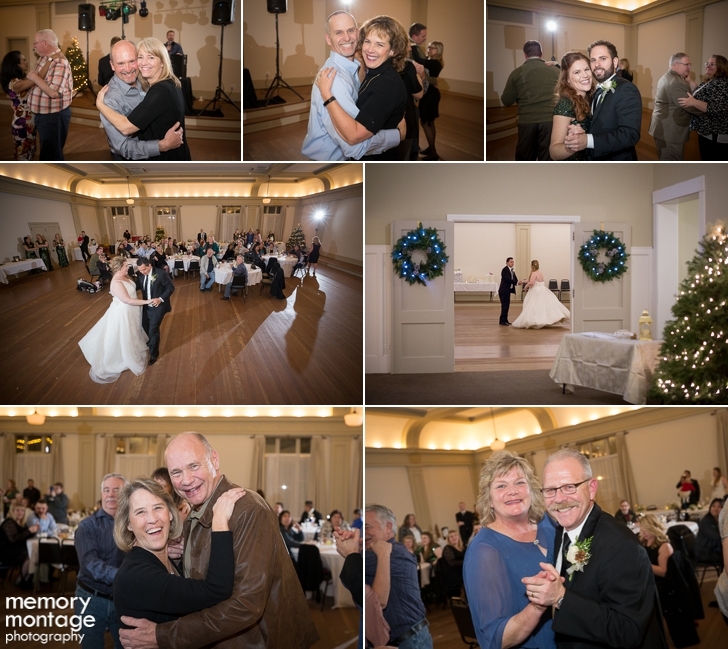 The reception was held at the Elks Ballroom. This is a building I have passed by a million times, but never gone inside. It was absolutely beautiful inside! Made for the perfect reception spot, lit by candles and the twinkling Christmas tree lights. Salmon was part of the dinner, which was perfect for this couple because they both work in Alaska in the salmon industry! Jacqueline's family is so warm and welcoming. There was so much smiling, laughter and happy tears all day long. 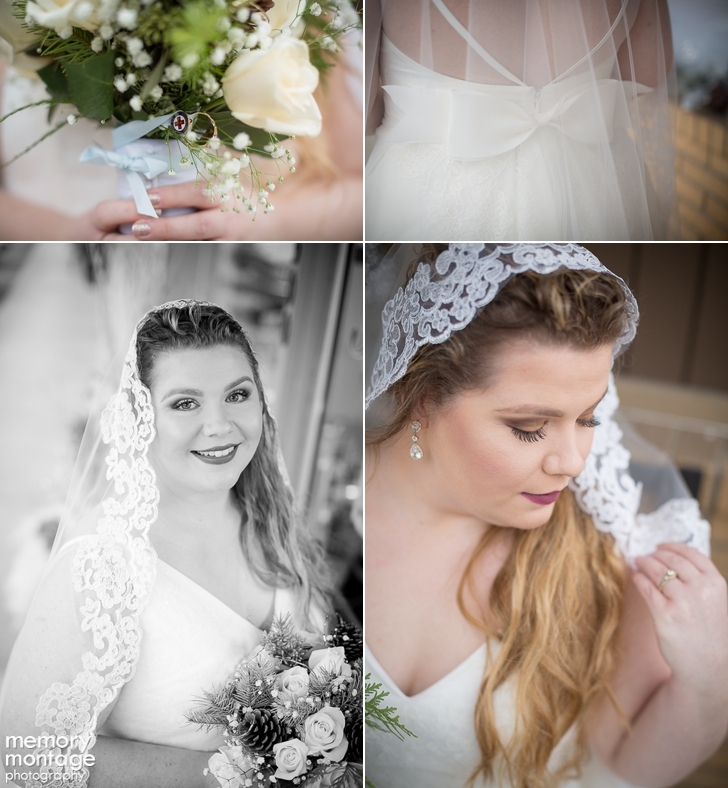 We have photographed part of this extended family before at other weddings so it was fun reconnecting with them again. 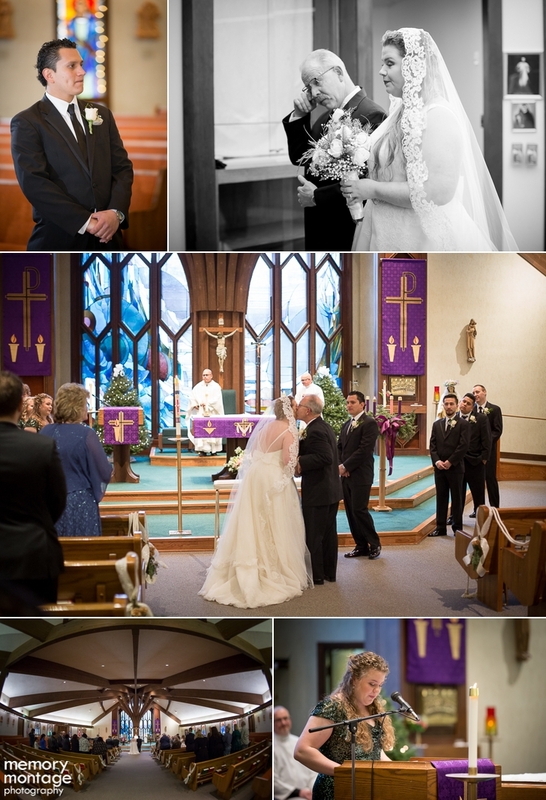 One of my favorite parts of the day was the speech by the best man and matron of honor. Both were hilarious! I also LOVED the bridesmaids dresses. 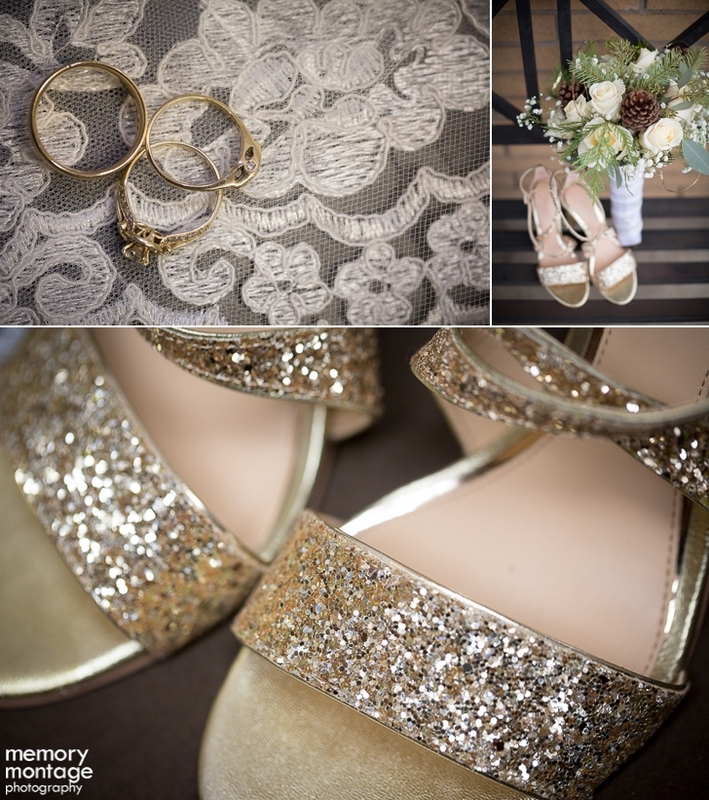 I have photographed a LOT of bridesmaids before and I have never seen any like this...green sparkly sequence! 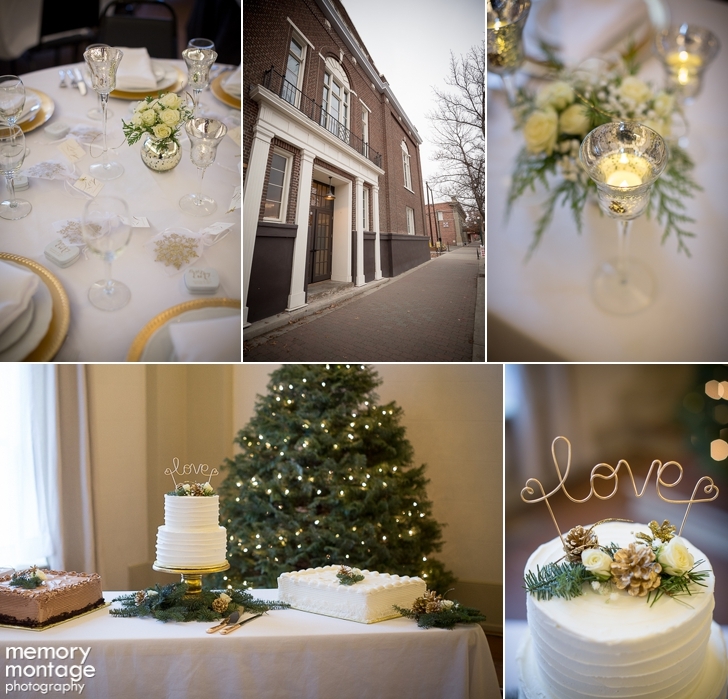 SO pretty for a winter wedding. 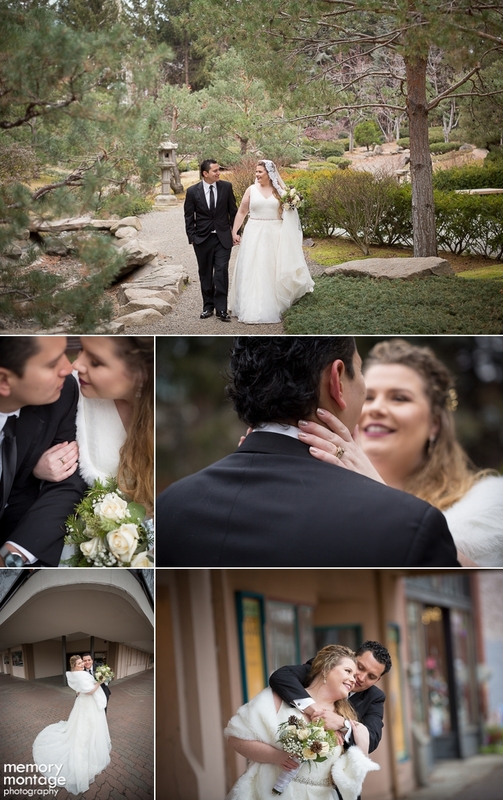 The bridesmaids were troopers for taking photos out in the cold with us before the ceremony. Although we never had a full on snowfall, there were tiny snowflakes that would fall every once in a while, making everything feel a little extra magical.